First day of school signs for you to download and print! A fun way to commemorate the first day of school! 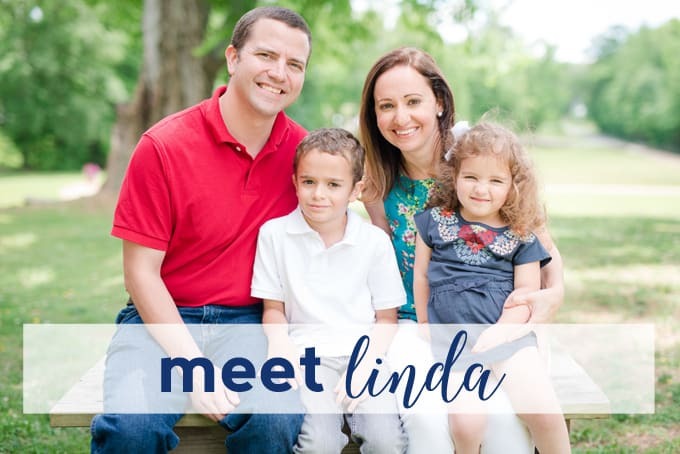 Click here for the 2018-2019 version! Ready or not, the first day of school is fast approaching (doesn’t it feel like summer just got started?!)! Thanks for reading all about my printable first day of school signs! Have a crafty day! Are these editable so I can use for the next few years? And change to last day? Below there are links to every grade… how does she do it all?! Thanks! I absolutely love these first and last day of school signs! I also would like to know if there is a editable version. I would love to use these signs for my girls for several years but would need to change or remove the date. A editable version would be awesome! Thanks! These are not editable, but I will create a new set each year available here on the blog! I’ll also create a set for the last day of school. Thanks! one more quick question….. will the set you create each year look just like these or do you redesign them every year? And will the Last day of school signs look just like these but just say last day of school instead of first? Thank you so much! You have create a beautiful sign! Love your Blog too! The ones I create for the end of the year will be the same as these, just different wording. Thanks so much!! Hello! I’ll create a new set for the last day of school (and will create some new ones for next year). Thanks! This are adorable! Thank you so much!! Do you have anything that say Pre- K? I love yours but don’t see it. Just added a Pre-K version! Thanks! These are adorable! So nice of you to put them as a free printable. Is there a way to make the pre-k one for this current school year 2016-2017? I love these!!!! Do you have a pre k for this current school year, 2016-2017? When I click the link it is for last year. Thank you!!! ???????????? Thanks for catching that! Just updated it. You’re welcome!! Just updated the Pre-K one with the correct year (it was wrong earlier)! Any chance you could do sophomore year and senior year instead of 10th and 12th grade? I would also like a sophomore year one. Thanks. would you be able to create one that say “First Day at School”? 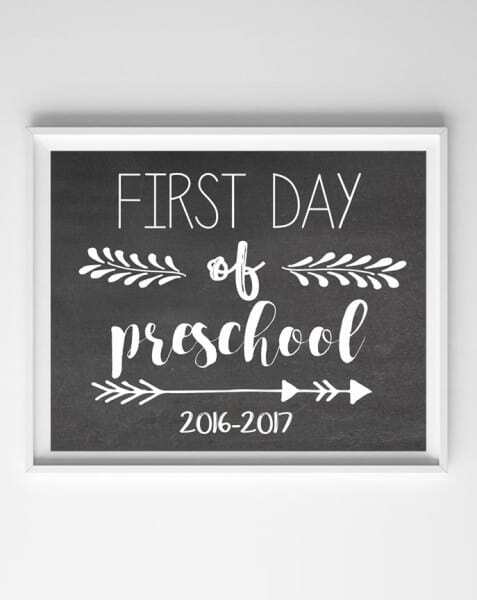 Just updated with a generic “first day of school” printable, if interested, thanks! Hi, In Nova Scotia, Canada we call pre-k Grade Primary. Any chance you could make one saying First Day of Grade Primary or First Day of School? THanks in Advance ! Hi there! I ABSOLUTELY love these signs!!! In our school board we have junior kindergarten and senior kindergarten. Any chance you could make one that says “First Day of Senior Kindergarten”? Love these signs!! So helpful. May I request to have a Last Day of School version as well! Thanks soooooo much and keep up the good work! These are adorable! Thank you so much!! can you make a nursery school version? thanks !! Hi, will you be doing a 2018-2019 version? Hello! We create these signs for each school year! Hello, is there anyway you could update these to say 2018-2019?? Also,can you create on that says 2nd year as a pre-k teacher?? I would love the updated 2018-2019 School Year as weel! Woops! I just finally found the link at the top of the page! THANK YOU for creating a 2018-2019 update! Hello! i Used your signs last year but they were a bit different…with an apple, are those still available? I cant seem to find them if they are…thanks!